Marv and Jack. 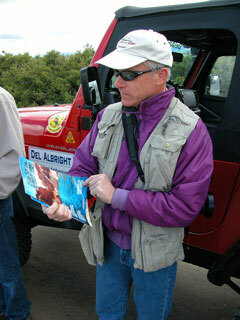 Marv our tour guide during the historical/ghost town SUV run the first day. 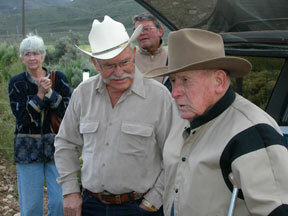 He is a true buckaroo from the old cowboy days. 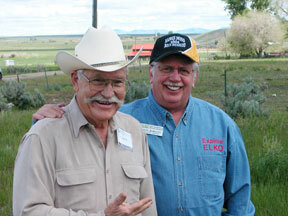 Jack is a life-long resident of Elko who writes cowboy poetry and tells great stories. Marv and Ralph. Ralph McMillian is the Ex. 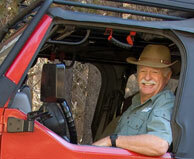 Director of the Elko Visitors Bureau, and member of the Bangin' Bones 4WD Club. 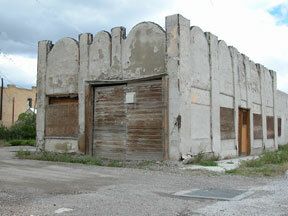 Stucco decco in Wells, NV. 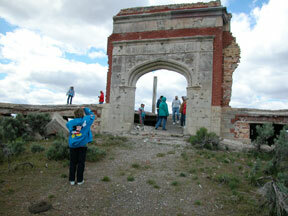 Remains of old school from long gone town outside Elko, NV. 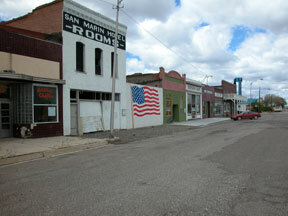 Wells, NV, ghost town (historical) district. All rights reserved by U.S. Copyrights Office. Use of material on this web site available by sale or permission only.